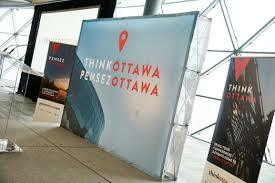 Ottawa Tourism, Shaw Centre and Invest Ottawa are partnering to introduce a program to attract more conferences and conventions to the capital city of Canada, with the help of the local ambassadors. Besides, attracting potential ambassadors, the ThinkOttawa program also provides several solutions and support services to win as well as deliver events all over the city. Raised Profile – arranging an international conference can perk up the visibility of the work of an ambassador – as potentially generating additional research funding. Affect on Industry – with several international events only ever visiting a city once, it’s a chance to leave behind a legacy in the ambassador’s industry and the city in general. Networking – ambassadorship offers an exclusive chance to develop networks, relationships and build research partnerships locally and across the world. Recognition – be identified for their efforts in championing an event at annual awards partaken by peers, government leaders and other industry experts. Bid Development – ThinkOttawa will work together with ambassadors to arrange a customized and polished bid document and presentation. Venue and Accommodation – as destination experts the ThinkOttawa team will advocate and source proposals from venues and accommodation providers. Government, Community and Partnership Support – letters of support can be acquired from the main stakeholders, partners and municipal government where applicable to help both the bid and organizing process.